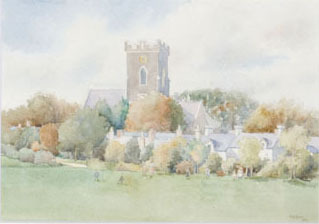 A watercolour of “St David’s Church Carmarthen from the park” signed BA Lewis dated 1913. Benjamin Archibald Lewis was born and raised in Carmarthen and was manager of the gas company (he was sometimes called Lewis the Gas) He painted local scenes. In 1930 he retired to Undercliff, Ferryside and continued to pant until his death in 1937. 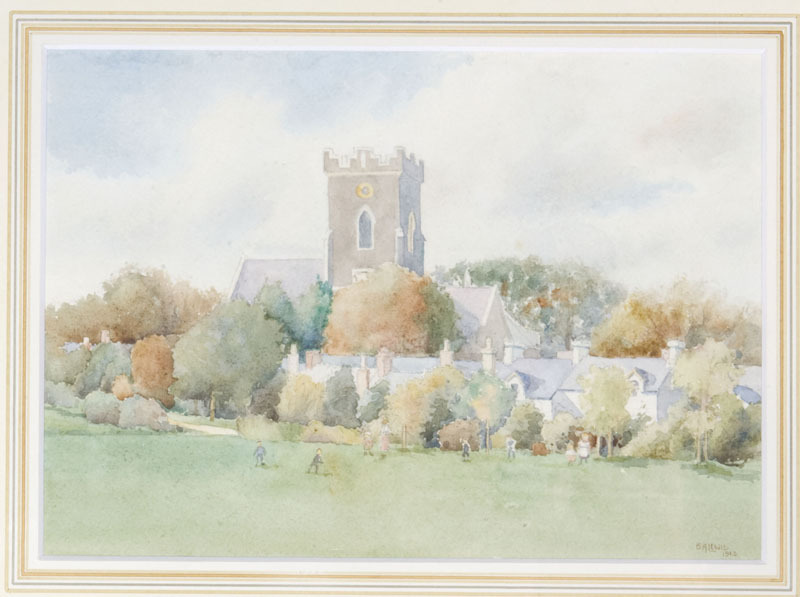 He was founder member of Carmarthen sketch club and he also attended Carmarthen school of Art. One of his 10 sons was Edward Morland Lewis who studied under Walter Sicket and became a promising artist, and one of the founder members of the London Group during the 1930’s. Edward died whilst serving during W War II. 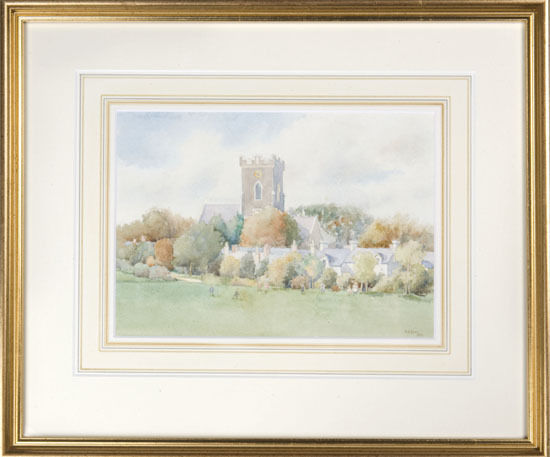 17″ wide x 14½” high including frame. Carmarthenshire county museum has a large collection of paintings by BA Lewis and EM Lewis.